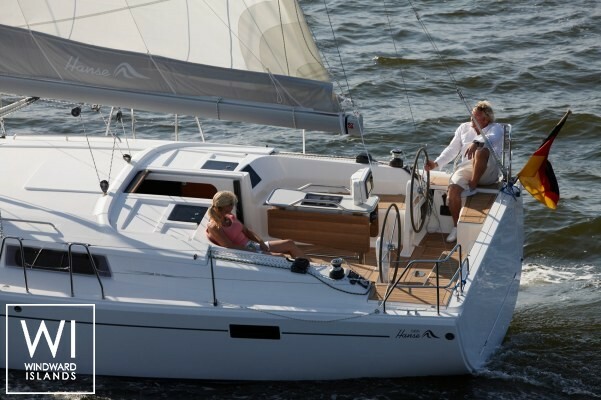 The Hanse 385 is a beautiful monohull sailing yacht in respect to both its design and in performance. 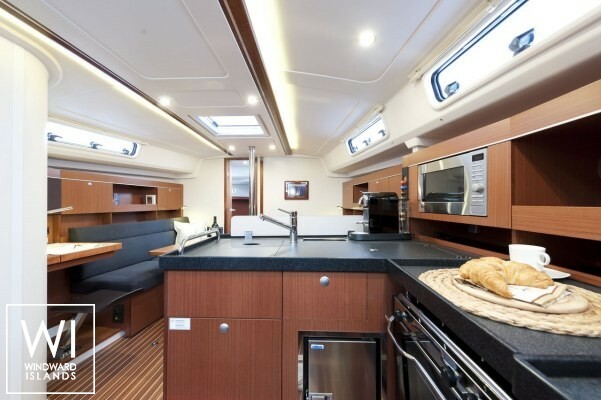 Whether you charter her in the Dodécanese, Cyclades, Sporades Islands or the Ionian sea and she will allow you to navigate in all regions of Greece. 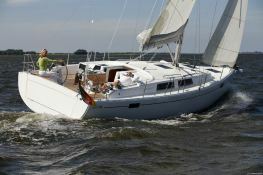 Located in Athens Alimos, Corfu, Kos, Lefkada and Rhodes, Greece, this Hanse 385 (3 double cabins), available for bareboat, built in 2017 by Hanse Yachts, is capable of hosting up to 6 passengers. 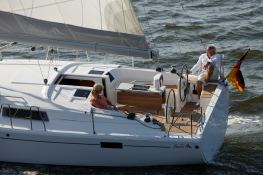 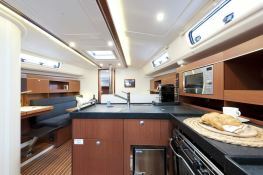 Further more, and for a complete bareboat charter journey, Hanse 385 comes with electronic on board and equipped galley.